Q & A: Is My Foot Problem Affecting My Psoas? Q: My friend just attended your workshop and recommended I contact you. Do you have any recommendations I have painful bunion that needs surgery? A: Foot problems can be connected to the psoas muscle, which may be the reason your friend made the connection. I explore the feet during workshops for several reasons. Every joint of the skeletal system is connected like pearls on as string, so when a joint is compromised it can disrupt every other joint. The psoas responds to the disruption in the skeletal system; attempting to maintain balance and coherency. Another way feet and psoas are connected is through the sense of weight. As gravity moves through bones and joints towards the earth a dynamic energetic interplay takes place. The feet must be able to receive gravity or energy can, so to speak, backlog into the hip sockets. The feet are also essential for good rebound of gravity responsible for coordinating posture. The psoas muscle is the only muscle, connecting spine to leg and plays an essential role in the transfer of weight and free swing of the leg and foot in walking. 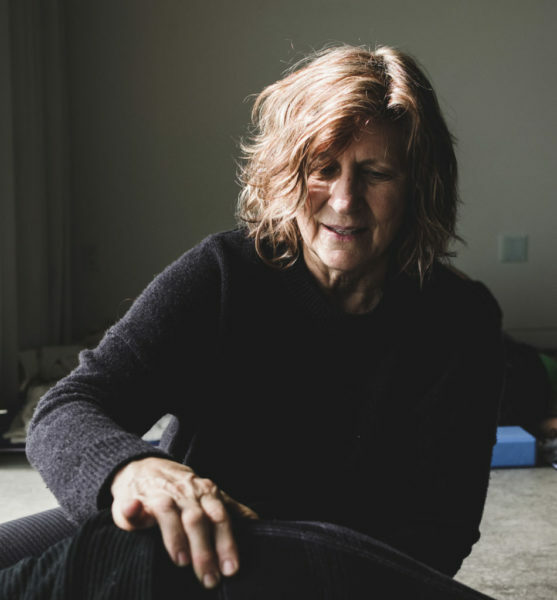 « Q & A: Can Awareness Heal My Psoas? Vanessa a mini rebounder is great for lymphatic massage so essential for removing toxins and refreshing fluid but I don’t think it will necessarily release your psoas. You are correct that the psoas needs to stay released and supple. However getting out of the force of gravity in CRP will help more. If the hip socket has the deformity you say it does, then the psoas will tighten to compensate. Try CRP with legs up at a right angle (use a chair) or on the floor, to give your psoas some down time. Support the joint by growing good proprioceptive awareness in all the tissue around the joint. Keep the iliacus fanned open and supple by toning the outward rotators (the intrinsic muscles which support the hip socket); learn not to use the psoas as a hip flexor and work with the ball exercises I recommend for keeping the feet responsive. Fluid movement such as wave motion and sound (come to one of my workshops or check out continuum movement), also helps to create coherency, supple tissue and encourages your organism to reorganize around a healthy midline which can mitigate the pain you are experiencing.